← Is That You, Santa Claus? 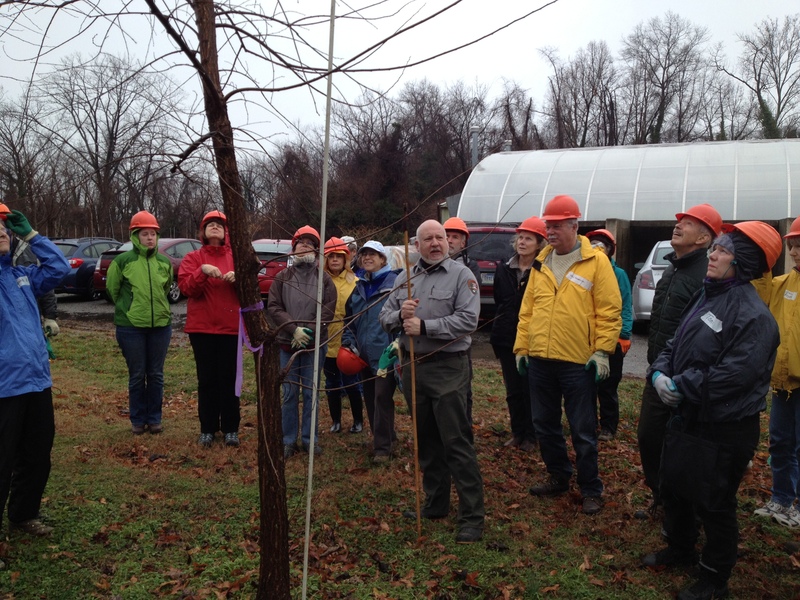 On Jan. 11 Barry Stahl, who runs a nursery of American elms for the National Park Service, here uses one of the elms to demonstrate to Tree Stewards and other citizen volunteers the best way to prune trees to insure good structure and health. These American elms have been grown from seed at the nursery along the Potomac River and are part of an effort to boost on the National Mall the number of native elms, whose numbers were decimated after Dutch Elm disease spread rapidly across the country in the mid-20th century.